A new drone that can stay in the air for 24 hours will be deployed to Andersen Air Force Base in 2017, the top Navy admiral told Congress yesterday. The Guam deployment of the MQ-4C Triton unmanned aircraft was confirmed by Adm. Jonathan Greenert, chief of naval operations, in a March 4 statement to the Senate Committee on Appropriations' Subcommittee on Defense. Greenert talked to the subcommittee about the Navy's posture for fiscal 2016 and the military's plan to beef up its presence in the Asia-Pacific. Greenert also stated that another submarine would be added to Guam. It wasn't clear if this is the same additional submarine that Defense Secretary Ash Carer announced would be sent to Guam this fiscal year. In April 2013, when Carter was deputy secretary, he announced that a fourth Navy submarine would be added to the three "forward-deployed" submarines to Guam. Neither Greenert nor Carter named the submarine that's being deployed to Guam. Increased military presence has been welcomed on Guam because of the jobs it creates. Tourism and defense spending are the top two foundations of the local economy. Andersen Air Force Base hosts older model Global Hawk drones. The first U.S. Navy Triton drone completed a test flight from California to Maryland in September 2014, contractor Northrop Grumman states. 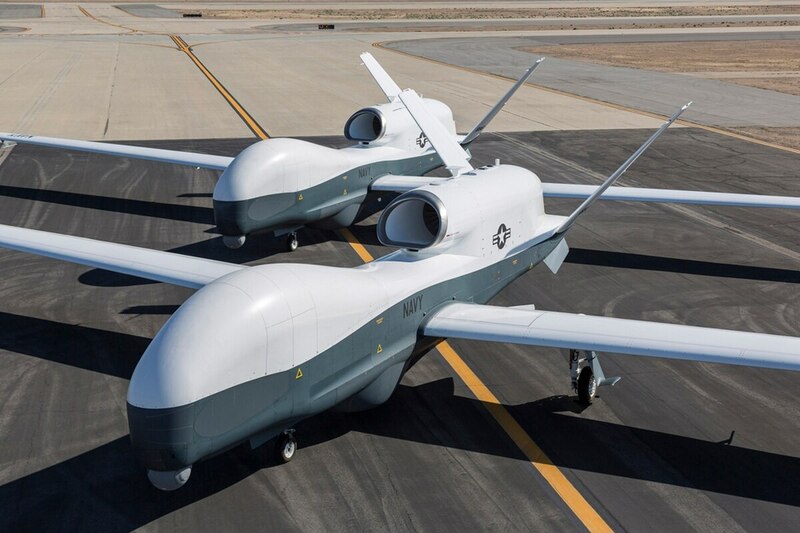 The Triton will support a wide range of intelligence-gathering and reconnaissance missions, maritime patrol and search and rescue, Northrop Grumman states. The Navy's program of record calls for orders of 68 Triton drones, according to Northrop Grumman.